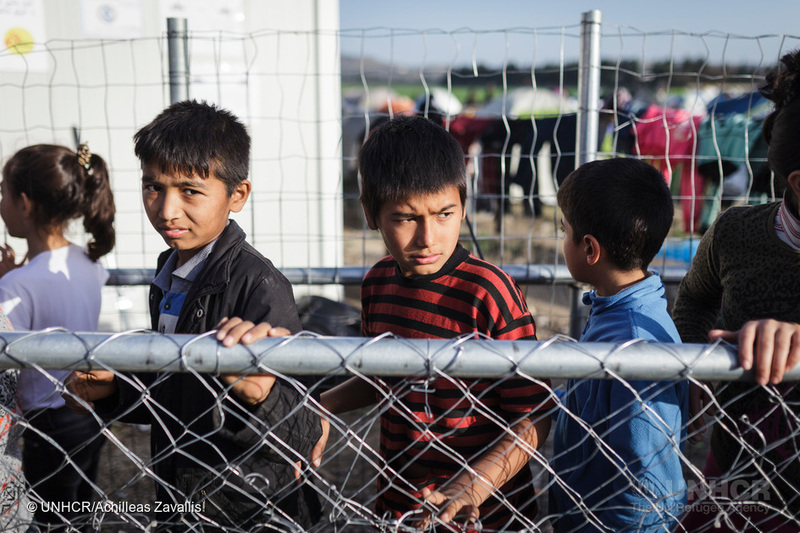 What can I do to support refugees and asylum seekers? A person who has left their country of origin and formally applied for refugee status in another country but whose application has not yet been concluded. A person who has left their country of origin to live in another country, either permanently or temporarily. Individuals may travel for a range of reasons, such as work, family and economic/environmental factors. Someone who has been forced to flee his or her home but has not crossed an international border. Even if they have fled for similar reasons as refugees, IDPs legally remain under the protection of their own government – even though that government might be the cause of their flight. A refused asylum seeker is a person whose asylum application has been unsuccessful and who has no other claim for protection awaiting a decision. Some refused asylum seekers voluntarily return home, others are forcibly returned and for some it is not safe or practical for them to return until conditions in their country change. A child who is outside of their country of origin, seeking refugee status without parents, relatives or a legal guardian. By the end of 2015, the UNHCR (the UN refugee agency) had registered 65.3 million individuals who were forcibly displaced worldwide as a result of persecution, conflict, generalised violence, or human rights violations. Of these, some 21.3 million people were refugees, 40.8 million internally displaced persons, and 3.2 million asylum seekers. Syrian, Afghanistan and Somalia have been the top three major source countries of refugees since 2013. Syria’s destructive civil war has, to date, produced over 4.9 million refugees, principally living in surrounding countries. 2.7 million Syrians live in neighbouring Turkey, now host to the largest number of refugees in the world. A further 1 million Syrian refugees live in Lebanon, where they make up a fifth of the population. Afghanistan is the second highest refugee producing country in the world today. Around 2.7 million Afghans live outside the country due to constant conflict spanning the last forty years. More than 1.6 million Afghan refugees reside in neighbouring Pakistan, which hosts the second largest number of refugees worldwide. Like Afghanistan, Somalia has experienced ongoing conflict since the Siad Barre regime collapsed in 1991. 1.1 million Somalis live outside the country today because of this. The UK has run the Gateway Protection Programme since 2004. Under the programme, around 750 refugees, identified by the UNHCR from refugee camps around the world, are resettled in the UK every year. In 2015 the UK committed to resettling up to 20,000 Syrians over five years from refugee camps in the region. In 2016 the government made two further commitments; resettling up to 3,000 at risk children and their families over four years from refugee camps in the Middle East and North Africa, and resettling a specified, but not designated, number of unaccompanied children currently in Greece, Italy and France. Refugees resettled in the UK have already been identified as refugees by both refugee aid organisations, such as the UNHCR, and the British government. On being brought to the UK, they are entitled to much the same services as British citizens. Individuals escaping conflict and persecution who make their own, often very dangerous, journey to the UK must apply for asylum to be recognised as refugees. While asylum seekers, they receive quite different services to British citizens. Last year the UK received 38,878 asylum applications, a 24% increase on the previous year. Despite this increase, asylum applications in the UK were still far behind many of its European neighbours. Germany and Hungary’s asylum applications collectively accounted for over half of all asylum applications made in the EU. Sweden, France, Italy, Austria, Belgium, the Netherlands and Switzerland all also received more asylum seekers than the UK did last year. 38,878 accounted for 3% of all asylum claims made in the EU last year, while the UK was ranked 17th in Europe in terms of asylum applications per-head of population. Claiming asylum in the UK is a long and complicated process. Click here to read about what happens when you submit an asylum claim. Last year 34 percent of initial asylum decisions were grants of refugee status, with a further five percent positive judgements offering other forms of protection. 61 percent of decisions made last year were refusals. Many asylum seekers who are refused protection by the Home Office go on to appeal the decision in the courts. In 2015, 35 percent of refusals taken to appeal were overturned. Asylum seekers have extremely limited employment rights in the UK. If their asylum claim has not been concluded after twelve months, they are able to apply for jobs on the Occupation Shortage List. The specific nature of jobs on this list excludes the vast majority of asylum seekers from any form of work. Unable to work, asylum seekers, regardless of age, receive £5.28 per-day in support. This must cover food, toiletries, clothing, transport and other necessities. Housing is provided for through privately rented accommodation on a no-choice basis, often using properties that the councils do not want. Asylum seekers who have been refused asylum but have not or are unable to be returned to their country of origin do not receive monetary support. They receive temporary accommodation, also on a no-choice basis, and an Azure card pre-loaded with £35.39 a week (for single asylum seekers). There are restrictions on what can be purchased with the card and it is only accepted in certain shops. Read more about the Azure card and its impact on individuals here. Asylum seekers and refused asylum seekers routinely face detention in immigration removal centres. An individual need not have committed a crime to be imprisoned and there is no time limit for how long an individual may be detained. Read more about detention here. Last year just over 3,000 unaccompanied refugee children applied for asylum in the UK, constituting 3% of the 98,400 unaccompanied children who lodged asylum applications in 2015. For the past five years this number has ranged between 1,000 and 3,000. Unaccompanied minors may be age assessed by the Home Office or the local authority on arrival to determine their age. An imprecise process, age assessments can and do result in children being treated as adults, leading to placements in shared adult accommodation or detention centres and leaving children at risk of abuse. Once they turn eighteen, unaccompanied minors still face a number of challenges. Most commonly only offered short-term protection, at eighteen they must reapply for asylum. Last year 82% of these applications were refused. The recently passed Immigration Bill has also removed much of the vital support unaccompanied minors receive. Once eighteen, many will no longer be able to remain in foster care and will be unable to access accommodation, further education or legal advice. Many of those who have their case refused are then returned to countries they no longer identify with, lacking the support structures necessary to help them build a new life. After Return is a report by the Refugee Support Network documenting the experiences of young people forcibly removed to Afghanistan. The Support Refugees site has a range of opportunities for individuals or communities to get involved in. Visit the Volunteering page for short or long-term volunteering opportunities, or the Campaigns page to find out how you make positive changes to the UK asylum system. This page comes from the Jewish Council for Racial Equality (JCORE). See the original page on their website or take their quiz to find out how much you learned.